Are himalayan salt lamps beneficial to health and where can I buy them? Are they beneficial for health and where can I buy them? 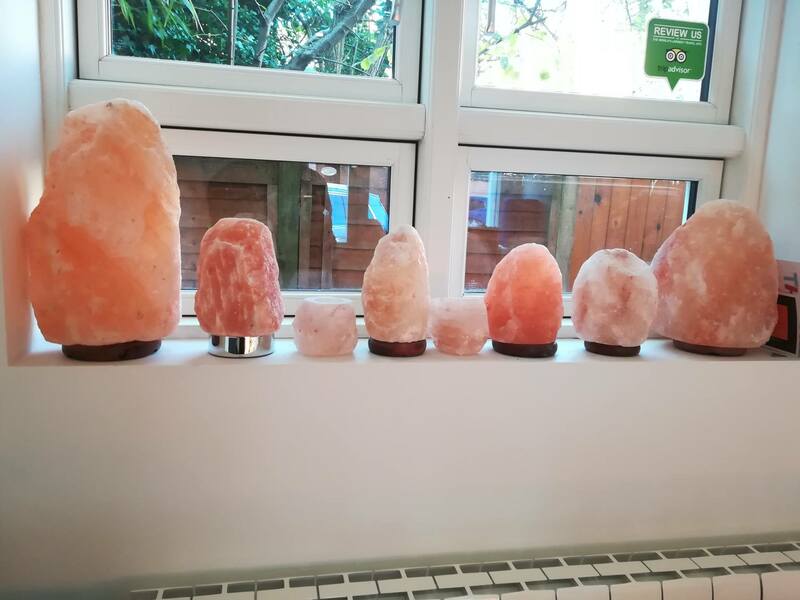 Himalayan salt lamps have grown massively in popularity over the last couple of years and they are for sale in more and more shops both on the high street and online. They are essentially chunks of pink himalayan crystal salt blocks which have been chiselled from mountains in the Himalayan region. Once extracted, the rock is then hollowed out in order for a small light bulb to be inserted. When illuminated, the light shines through the rock, enabling the lamp to give off an orange or pink glow. Himalayan salt lamps are beautiful to look at and can make for some truly decorative and original lighting in the home or workplace. The lamps come in an ever increasing range of fascinating shapes and sizes, from the traditional unrefined chunks of rock to pyramids, circular, square and conical shapes, and even animal shaped lamps such as penguins and elephants! Bowls and baskets containing multiple smaller pieces of rock have also become very popular. Are There Health Benefits Of Himalayan Salt Lamps? Proponents of the health benefits of himalayan salt lamps believe that they may be conferred in two different ways, as follows. Himalayan salt is naturally hygroscopic. This means that it has the ability to attract water from its surrounding environment and absorb it. Proponents of the benefits of himalayan salt lamps believe that this fact enables the lamps to clean the surrounding air. The air around us contains water particles, which in turn contain many different pollutants such as bacteria, pollen, dust and smoke. When we breathe, these pollutants find their way into our bloodstreams and lungs. By attracting the water particles from the air, the salt lamps can draw these pollutants to them rather than us, leaving the air that we breathe to be cleaner. 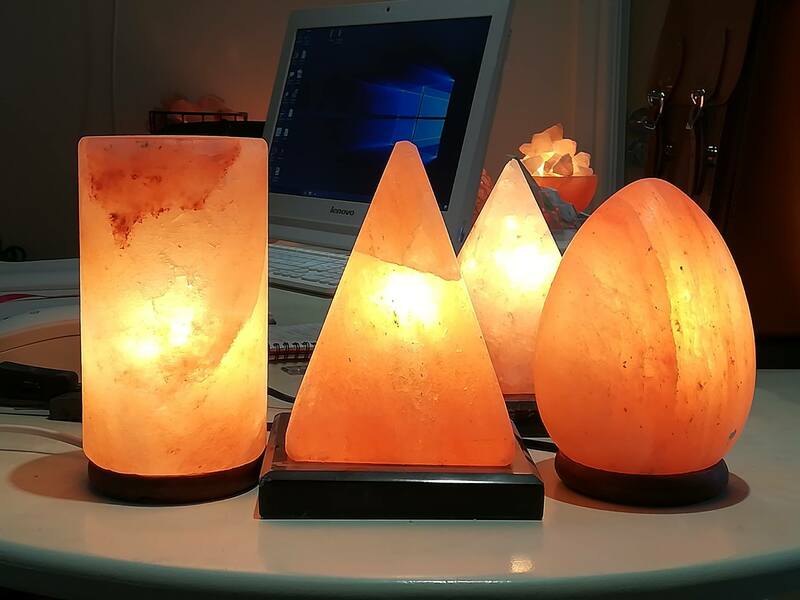 In this way it is easier to see how himalayan salt lamps may confer significant health benefits in particular for those suffering from respiratory conditions such as COPD and Asthma. To see the hygroscopic effect in action, if you’ve had a salt lamp switched on for a few hours and then turn it off, after a while you may see it start to ‘cry’. This is because as the lamp cools down (from being warmed by the bulb) the water particles that it has attracted starts to turn into liquid and drips from the lamp. In fact, over the course of one year, a himalayan salt lamp may increase its weight by as much as 30% due to all of the absorbed moisture. Although we can’t see them, negative ions are supposedly good for us, as opposed to ‘bad’ positive ones. They are typically found in waterfalls, oceans and even beeswax. It is claimed that himalayan salt lamps also emit these good ions and that they confer health benefits as a result. Although many are sceptical about whether a) these lamps give off negative ions and b) if they do, whether the effect is strong enough to make a noticeable difference to our health, interestingly there are a few studies which do appear to back up the argument for the presence of negative ions and their positive impact on us. A 2013 study showed that negative air ionisation appeared to lower depressive symptoms in individuals and also reduced the incidence and severity of Seasonal Affective Disorder (SAD), the latter of which is also known to be helped by light therapy (which has been studied more extensively). Back in 1981, researchers found that office environments were associated with a greater incidence of headaches, dizziness and nausea, due to a lower quantity of negative ions in those kinds of environments. When negative ions were reintroduced into the air, people’s symptoms diminished. 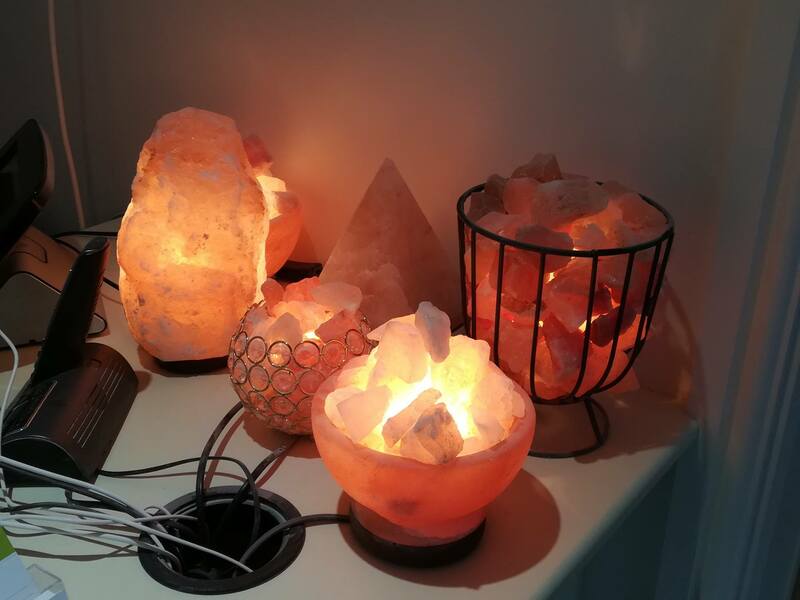 Little Himalaya features a wide range of himalayan salt lamps for sale, which can be purchased at our centre. If you’re interested in buying a lamp, please feel free to pop in to our salt cave to take a look at the many different types that we sell. The lamps are quite heavy so currently we don’t ship them to customers, they are collection only and can’t be ordered online. However you can always drop us an email or call us to discuss what you’d like and enquire about stock and prices, etc. I absolutely love my himalayan salt lamps and I now have several of them in my home. I’ve been a long time Asthma sufferer and I genuinely feel that these lamps have helped my breathing and eased my symptoms. Guests always comment on how great they look too which is a nice bonus. I wouldn’t hesitate to recommend them. Your himalayan salt lamp comes with everything you need- the lamp itself, plus the separate power cable, plug and bulb. The cable and attached bulb is simply inserted up through the bottom of the lamp, which is hollowed out, and then plugged in. The bulbs used are a common 15w oven bulb. A care sheet is provided with every salt lamp too. Every 6 months, it can be helpful to do the following: switch off your salt lamp and then cover it with a cloth for the next 2-3 days. This will allow your lamp to “sweat out” the moisture and contaminants that have built up via absorption over the previous months. After this period simply remove the cloth and turn the salt lamp back on as normal. Which Salt Lamp Should I Buy? The style of himalayan salt lamp that you choose is completely up to you and each offers exactly the same benefits. The only thing that you need to consider is the size of lamp. This is because the larger the salt lamp, the more it will be able to absorb from the air. Hence it follows that the size of lamp that you purchase should reflect the size of the room where you are planning to have it. Our general guidelines are that a “standard” bedroom is perfect for a salt lamp of 5kg or less, whereas a spacious lounge or conservatory may need a lamp of 12kg or heavier. A further consideration is whether there is a particularly large amount of moisture already present, perhaps due to the close proximity of a bathroom shower or maybe because of a damp problem. In fact, a further benefit of salt lamps is that they can greatly help with condensation in the home.